I can't believe we are only a couple of weeks away from Christmas. The days keep flying by so quickly. I still have so much to do. I have a couple of projects I want to finish but at this point I'm wondering if they will get done on time. Every year it's always a race to the finish. Such a busy time of year for everyone. A happy time of course, but a busy time none the less. This is my Thankful Thursday week 2. I was putting up our Christmas tree this week and was digging through boxes and boxes of twenty five years worth of Christmas decorations. Most of the things are items I've bought at stores and kept for years and years. But a few other things are items that cannot be bought at stores and hold a lot more value than the rest. 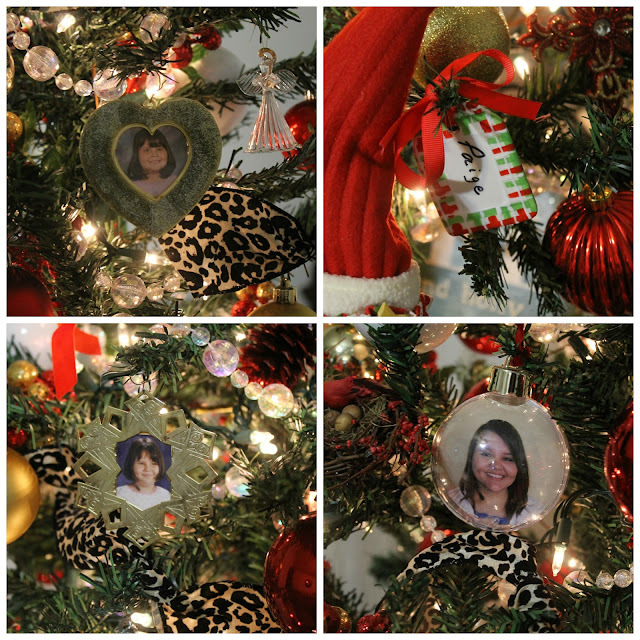 I am thankful for those little sweet sentimental ornaments that make our Christmas tree so special. I love going through the boxes and finding them year after year. My heart swells up and I start reminiscing thinking about those grade school years and Christmas parties I attended with each one of my kids. 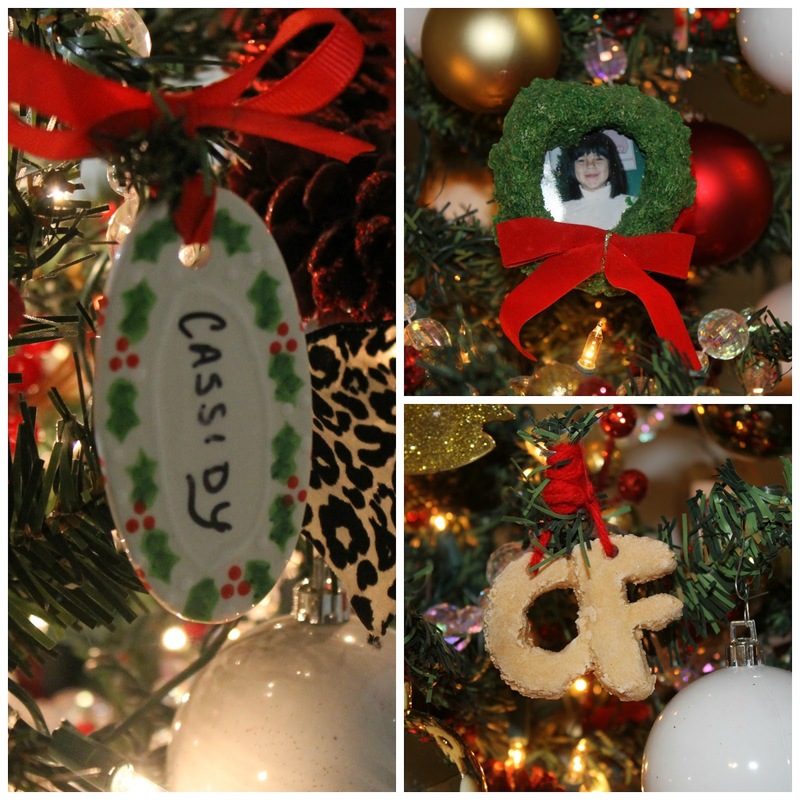 They would come home from school and be so excited to put their little handmade ornament on the tree. I know each of my kids at one point brought home a Rudolph ornament made out of craft Popsicle sticks with a red pom pom for the nose. They, however, didn't survive the many years of packing and unpacking. Apparently Elmer's glue doesn't hold together very well unfortunately. Not all of them are handmade ornaments. Some are simply picture frames I would fill with a current photo of them. This is my oldest daughter P. It's hard to believe she's 22 now. It's crazy how fast time passes. This Santa Clause is probably about 20 years old. I ordered it through a catalog and gifted it to my husband's grandmother for Christmas. I was told she loved it and set it out year after year. When she passed away eight years ago it was given back to us. It has a button and when you turn him on he rocks back and forth in his chair and snores. Just having him makes me think about Grandma Lois. Anyone else still love Dreamsicles? This Christmas one is special. It just says "family" to me. Hope your Christmas is special, filled with many memories, old and new. Such a wonderful time, remembering Christmas's past as we decorate in readiness. 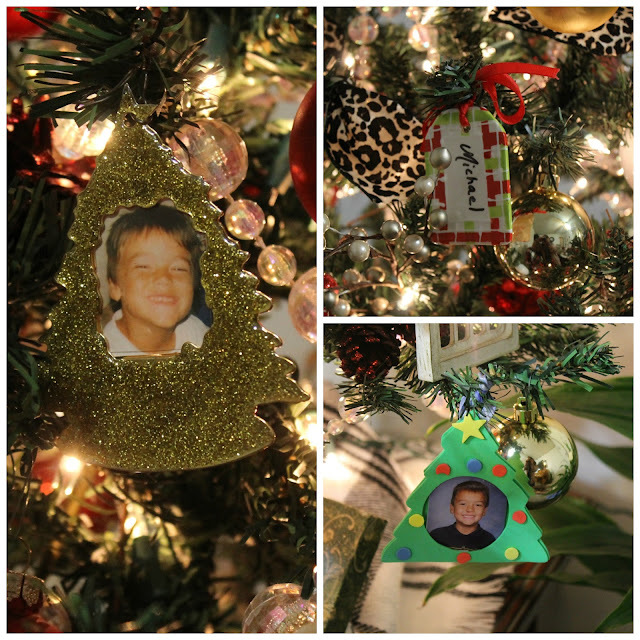 Such lovely decorations and wonderful memories too! That is lovely. bellissima atmosfera natalizia !!!! complimenti..